My Portuguese Suite for Toy Piano has been premiered and is being played around the world. It is with much joy and happiness that I notice the amount of visitors that come to my site because of this work and how many have downloaded the musical scores. 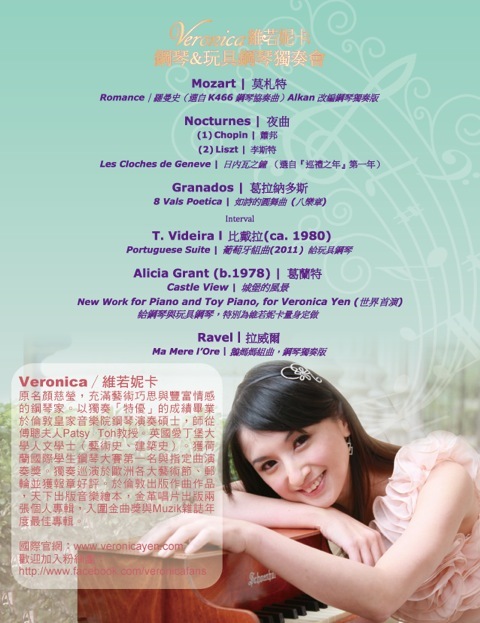 Miss Veronica Yen played it in Taiwan in a concert 3 March 2012, and in another on April 15, 2012. You can watch an excerpt of her playing the second movement “The sewing machine”. 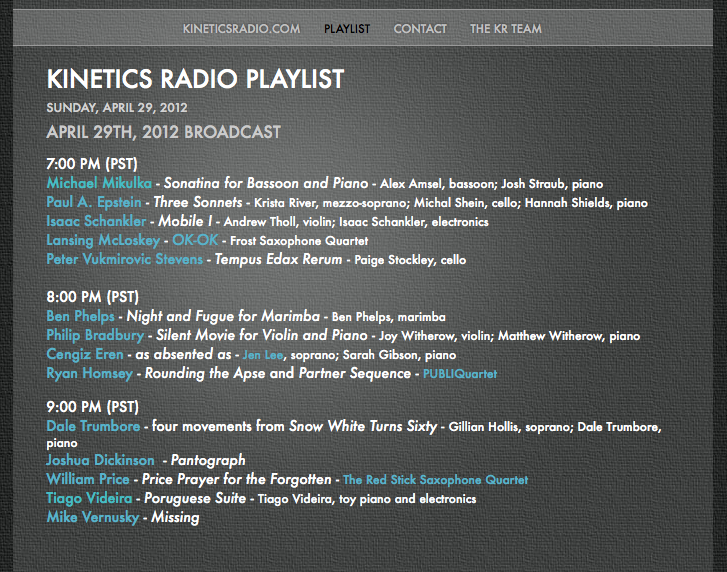 It was also broadcasted by Kinectics Radio (Los Angeles, USA) on April 29, 2012. Also Hyeree Cha also recorded and posted in Youtube the entire piece. May you all continue to honor my work with such warmful performances. Next Post Qüir – original music for advertisement.